We have an excellent group of specially trained teaching professionals that understands the importance of designing an approach to teaching that each individual person can understand. Whether you are looking for an individual lesson or would prefer the more cost effective approach of group lessons, call our professional teaching staff today at (305) 633-4583 and please contact Charlie DeLucca Senior or Junior and also John Reed. They will outline our teaching program and help you select the best alternative for your game. If you would like a more focused teaching approach, our Golf Academy offers comprehensive programs that will help improve your game. Our experienced teaching staff will assist you in choosing the program that will yield the best results. Here is the list of our professional and some detailed information with the background of each one. 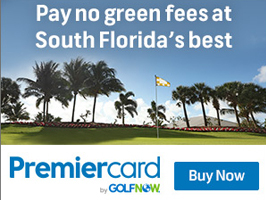 Partnered with The First Tee Miami in 2003. I have helped develop and made available a teaching curriculum based on golf skills and life skills combined including our 9 Core Valves which are: Sportsmanship, Responsibility, Perseverance, Confidence, Judgment, Courtesy, Honesty, and Respect. As a PGA professional I have inspired PGA members and apprentices to promote the game of golf through community involvement in all types of junior golf programs. Third generation of Golf Professionals. Entered golf industry in 1986 at Melreese Golf Course. Course Management: Have worked all aspects which includes, picking up the range, Finance Director, Budget manager, club repair and teaching instructor. `94 Resident manager of Golf Club of Miami, South Course, overseeing all aspects of operation, food/beverage, maintenance of 18 hole public facility and lighted range. Developed 200 member base in 16 months. 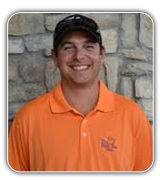 Vice President of Dade Amateur Golf Association a successful - year round Youth Golf Program. `95 Partnered with Bunkers of Miami Management Group which completely renovated 18 hole facility and operates as International Links Miami. `97 Campaign for Tiger Woods to introduce golf to over 2,000 Inner-City community youths and the grand opening at International Links Miami. 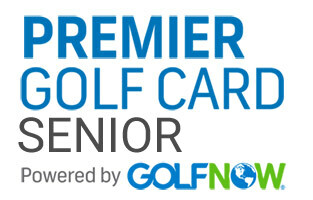 PGA of America member since 1998. Attendance in annual meetings and seminars. Developed curriculum and conducted: Southern Chapter Junior Clinic Series for 2006. 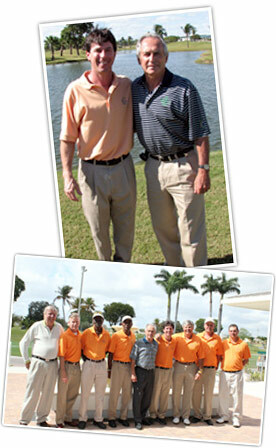 Vice President/Board of Director to the First Tee Miami/Dade Amateur Golf Association. 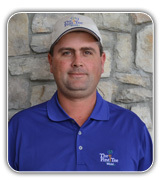 As Vice President and Board of Director with the First Tee Miami/Dade Amateur Golf Association, and reaching over 5,000 thousand youth annually both nationally and international throughout the year. The following is a list of programs I am involved with. 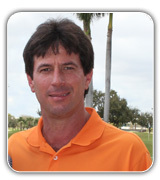 2004-Present: President/Secretary - DeLucca Enterprises - Manager and Operator of International Links Miami Melreese Golf Course for the City of Miami. 1997-2004: Bunkers of Miami, a Florida Joint Venture - Managing Partner, oversees management, marketing and daily operations for International Links Miami Melreese Golf Course. 1988-Present: Golf Course Consultant - Professional Course Management, Inc. (“PCM”) Bonaventure Resort & Country Club (36 holes), Presidential, Miami Shores Country Club, Grand Palms Hotel and Country Club. 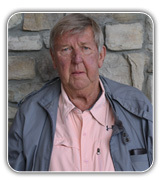 1989-Present: Charles DeLucca School of Golf - Director. Develop curriculum for instruction of seniors, adults and juniors presented in hourly, daily and weekly sessions. 2002-Present: In 2002 Charlie conceived the idea for a Florida License Tag and worked timelessly to get it passed in the state legislature. As a result of his endeavors, the bill passed, and proceeds for the sale of this tag and now distributed to junior golf foundations throughout the state of Florida. The sale of this license plate is estimated to generate millions of dollars a year for junior golf statewide. 1968 - 2002: President and Executive Director - Dade Amateur Golf Association Dedicated to the progress of amateur golf among Dade County residents to promote, educate and encourage the youth of our community to become knowledgeable of and proficient in the game of golf To stress to the youth the importance of scholastic achievement and obtaining an education To promote, encourage and foster good fellowship and friendly competition among the members To promote and encourage better understanding among the members and the general public as to the proper use of golf facilities, both public and private To promote and encourage the pursuit of mental and physical well being of its members to promote, encourage and educate its members and the public in the principles of fair play and golfing etiquette To promote, encourage and conduct golf tournaments, local, state, national and international One of the nation’s best Junior Golf programs can be found in Miami, where the Dade (County) Amateur Golf Association (DAGA) conducts a year-round series of clinics, group and individual instruction and tournaments for all ages, culminating in the Doral/Publix Junior Classic. 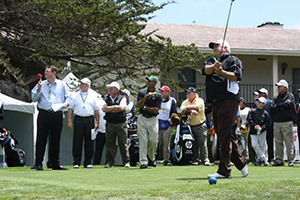 The event annually attracts more than 500 junior golfers worldwide. 1994: Contributing Editor - South Florida Golf Published by the Miami Herald Publishing Co. 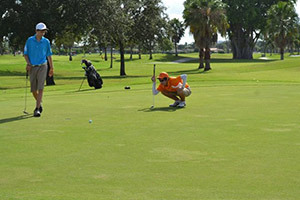 Since 1963: Direct and organize golf clinics for City of Miami /Dade County Senior Citizens have organized and directed weekly/monthly junior golf classes and golf tournament for thousands of youths in our community. 2004: Community Commitment Award, Dade Schools Athletic Foundation, Inc.
2003: South Florida PGA Hall of Fame. Charlie was elected in 2003 to the South Florida P.G.A. Hall of Fame. This honor was awarded to Charlie by his peers for his outstanding contributions to golf and junior golf throughout his professional career. He joined Jack Nicholas, Julius Boros, Dr. Gary Wilson, Laurie Hammer, Rodger Kennedy and Johnny La Ponzina and many other notables, as a recipient of this prestigious award. 1991 - 1996: Employed at the Country Club of Miami. 1991: Become involved with Junior Golf Programs. 1996-Present: Overseeing all golf tournaments and outings at International Links Miami-Melreese Golf Course. 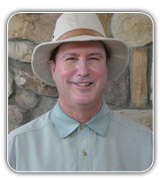 1994-Present: Instructor/Teaching Professional: Gives Private Lessons from the beginner to the advanced golfer. 1978 - 1982: University of Miami Captain and Letterman. Won 3 Collegiate Tournaments. 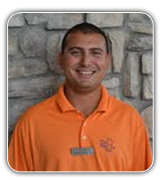 Robert Lasa is a part time instructor that joined our team of professionals in 2008. Despite his golf victories as a young teenager, he did not pursue a competitive golf career. 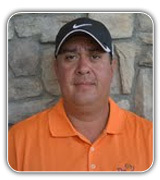 He began his golf career in 2004 while learning golf course operations at Miccosukee Golf & Country Club and at Calusa Country Club. 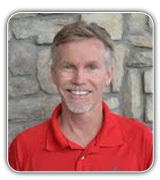 He then became a full time Certified Instructor at the Jim McLean Golf School from 2008-2009. His specialty is short game and is an ambidexterous golfer as well. Lefties are welcome! When I started playing the game of golf at the age of 4, I was instantly hooked. I continued to play throughout my youth and was a dedicated player in the First Tee of Miami program for the majority of my early life. Upon graduating from high school, I earned a full scholarship to play golf as a knight at the University of Central Florida. I was a valuable member of the golf team at UCF for 3 years and was fortunate to gain a lot of great experiences playing all around the world. After my third year playing for the UCF golf team, I turned pro in the fall of 2010 and began my professional golf career. I continued to play professionally and played full time in 2013 on the PGA Latinoamerica Tour. I was very fortunate during the tour and decided to take the skills and knowledge I learned during my time out of the country, and put them to use in my hometown of Miami. In 2014, I joined the professionals at International Links and the First Tee of Miami where I am able to put my expertise to work everyday. 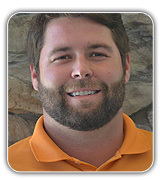 I am also currently in the PGA Apprentice Program as well as a Level 3 First Tee Coach. With the experiences and knowledge I've gained throughout my life and through the game of golf, I feel I can reach a wide variety of people of all ages and levels to help them achieve their goals in and out of golf. Dade Amateur Golf Championship – Mia., FL Head Rules Official/Rules Comm. 1961 - 1990: President Southeast Section-Sales-Health Tex Inc.
2005 - Winner: Bill Strausbaugh Award for the Southern Chapter P.G.A. 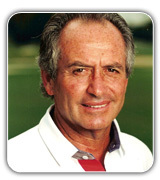 Prior to my commencement of my pro playing career I was employed with Melreese Golf Course, Miami, Florida under Charles DeLucca, Director of Golf, as instructor for an established adult client base and as a coordinator for Junior Golf Summer Camp and Instructions Programs. Prior to working at Melreese I worked under Ron Frazier, PGA Professional, at Miami Dade Community College Junior Golf Schools Program. To teach each studentl with all of my knowledge and passion for the game of golf in order to maximize each individual's potential. I teach all types of golfers from beginners, weekend warriors, women, juniors, collegiate players and Professional Golfers on several tours. These lessons range from Video Analysis, Short Game, Full Swing and Playing Lessons. I assist in the weekly First Tee Advance Girls Clinic and in the summer with the Special Olympics Golf Clinics. GolfTEC is an indoor golf learning center that utilizes high tech video and motion analysis to enhance the quality of the instruction. I was responsible for the day to day operations of the store. I developed solid guerrilla marketing relationships with local partners, Capital Grille, Pro Golf, Chamber South. I have developed a great team that works together and meets or exceeds the goals I set forth on a monthly basis. I kept my staff and myself at the cutting edge of golf instruction. I enriched my knowledge of the golf swing by attending teaching seminars offered by the PGA and GolfTEC.In my three years with GolfTEC I taught over 3,500 lessons. At this facility my customer service skills and keen tournament knowledge were essential. I coordinated the annual tournament schedule for two men and ladies golf associations. We hosted three major tournaments a year for each association, a Member-Member, Member-Guest, and a Club Championship. This facility had a very active membership with very high standards. Working closely with the members and developing strong and lasting relationships was my priority at this facility. 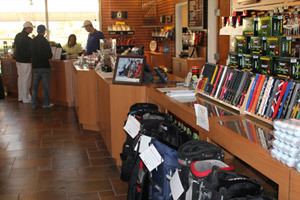 I was responsible for the day to day operation of the golf shop as well as the outside staff. This facility gave me the opportunity to put into practice all of the knowledge that I have learned through the PGA Apprentice Program. My time is split between tournament operations and the daily operations of the shop and golf course. I do all the staff scheduling for both inside and outside personnel. I handle the golf arrangements for the V.I.P. guests of the hotel and coordinate golf outings with the hotel liaison. I order all soft goods for the shop. I oversee four different leagues and sit on the International Junior Orange Bowl Golf Tournament committee, one of the premier junior tournaments in the world. As far as teaching is concerned; I give about ten hours of lessons a week. I coordinate and teach the junior summer camp. I was responsible for the day-to-day operations of the golf shop. I was in charge of the club repair and fitting operations. Tournament Operations was my specialty at this facility. I coordinated the tournament season for the members. In one season we ran over 20 tournaments, each with an average budget of $75,000.00. I also coordinated the weekly men and ladies league. I learned and aggressively honed my customer service skills. With the member base we had, it was a must. La Gorce gave me a unique opportunity to see the industry from the private sector side. In my five years with American Golf, I was exposed to many areas of the business, starting with the driving range and cart barn and progressively moving in to the pro shop. I learned to run a 27-hole tee sheet and how to maximize the amount of rounds played. I learned innovative ways to market and increase driving range revenue. 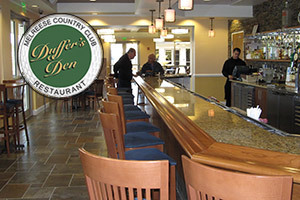 I gained great insight into the close relationship between the restaurant and the golf shop. I coordinated the men and ladies league. I also helped coordinate and teach the various junior programs. The most valuable thing that American Golf taught me is the value of knowing your particular customer base and catering to them properly. Played junior golf in Daga. Recognized golfer in the city of Miami. 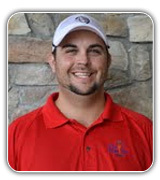 Member of the 2007 Men's NCAA National Championship team for DII golf. DII All-American golffer. Currently playing professional golf in the Minor League Golf Tour. Mike Simmons learned golf in his native Caribbean island of Barbados, where he was coached by visiting legendary British Professional, the late John Jacobs. 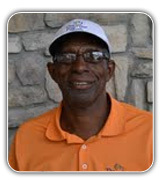 He represented Barbados for many years in the Annual Caribbean Golf Championships, both as player and team captain. Mike was an outstanding athlete, representing his country in soccer, track and field and golf. 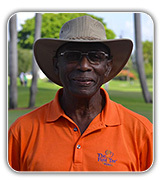 On his retirement from active competition, his interest shifted to sports administration and he became President of the Barbados Olympic Committee, the Barbados Golf Association and the Caribbean Golf Association. 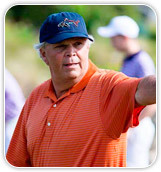 He served his three year articleship from 1992 t0 1995 under the late Charlie Pifer, Class A PGA Professional at Charlie DeLucca's Golf School, Melreese Country Club and qualified as a Golf Teaching Professional in 1995. 1994 and 2006 Awards by Caribbean Golf Association for contribution to the development of golf In the Caribbean and The Caribbean Golf Championships.